When it comes to apps – even the big ones – it’s fair to say that Microsoft’s Windows Phone platform often gets left behind. It took an age for Instagram, for instance, to make its way over to the WP Store, and even when apps do finally manifest themselves, updates can be few and far between. 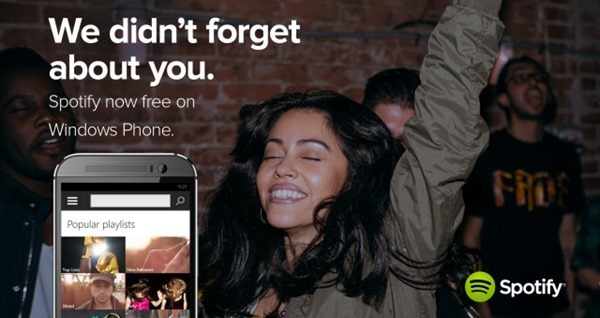 Spotify is another prime example, and although an official app has been around for a while now, the ability to shuffle songs for free with ads has not. Now, though WP users can listen for free thanks to a new update, and if you don’t mind the occasional advertisement, it’s a great way to enjoy free music. I’ve been using the Spotify app on Windows Phone for some time now, and although it does have its annoyances, the design is very in-keeping with the overall look and feel of the OS. Perhaps I’m a little biased in this regard, but while the iOS and Android versions feel like clones of one another, the Windows Phone edition offers an altogether more fluid and elegant experience, but up until now, has missed out terribly on core features. Although previously bereft of what is key functionality in free, ad-supported music streaming, today’s update finally pays heed to this glaring shortcoming, as well as adding a bunch of lower-level adjustments, fixes and improvements. Of course, if you’re a paid user enjoying Premium to the tune of $9.99 a month, then you almost certainly would have missed the fact that Spotify didn’t include free shuffling, but aside shuffle mode, the new update helps to bridge the gap between the three major platforms. 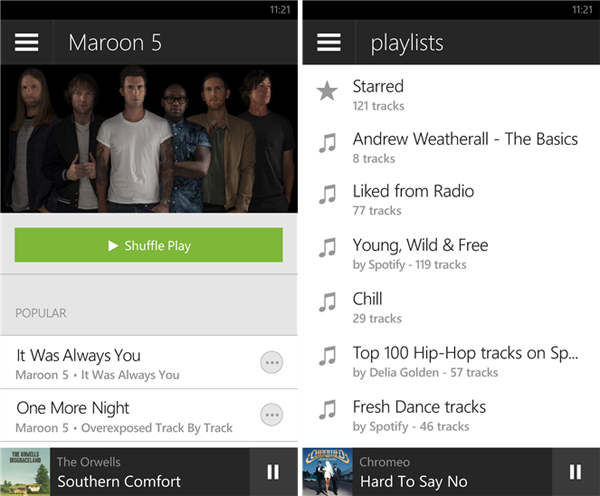 Suffice to say, whether you’ve been waiting for free streaming or just so happen to run Spotify on Windows Phone, version 4.0.0.0 should be picked up by every single user. It has just hit the WP Store, is free of charge to download, and can be picked up via the direct link below. Although it has lost a touch of originality and is, regrettably, beginning to look just like the iOS and Android apps, it makes sense for Spotify to pursue uniformity, and hopefully, there won’t be too many bugs lurking as often occurs with big updates. Be sure to check out our Windows Phone apps gallery to explore more apps for your Windows Phone smartphone.